Honey, put on your high-steppers and truck down to the sea this Thursday where Dr. John & the Lower 911 will rattle your bones and rev your blood “under the hoodoo moon”. It’s fitting that Mac Rebennack (as his bosom circle knows him) closes out the Santa Monica Pier’s Twilight Dance Series; much like his beloved New Orleans, the professor of “funknology” has always danced in the limbo between light and dark: celebration, suffering and sin. 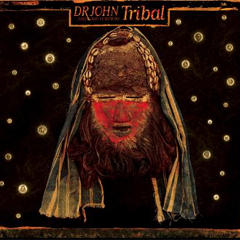 The good Doctor’s new album Tribal will most certainly be a prime supplier of his signature, mixed-genre grooves on Thursday. Keep an ear out for “When I’m Right I’m Wrong” (the man-woman thang), “Mannoovas” (tricksy women and their wicked ways) and “Big Gap” (call to action). Yes, you are a lucky one. In support of the Crescent City’s most passionate ambassador, his ongoing calls to action, and his tireless, continuing efforts to restore his still-recovering hometown, the folks at the Amoeba Records booth will be collecting donations for the fifth anniversary of Hurricane Katrina. The final Twilight concert, which opens with “World Mardi Gras Music” from transplanted N’Awlins boy Eddie Baytos & the Nervis Brothers (for a double dose of git it done, son) is free as air, so dig deep for relief, y’all. You can cool your fevered brow with cocktails at the pier’s full service bars or grown-up grape juice at the Seaside Wine Tasting Bar: $15 for five tastes and a glass of your favorite. To be on the safe side, it will be to your benefit to tip a little of that hooch in the sea…. …just to appease any haints that the Night Tripper might stir up. PARKING: 1550 Pacific Coast Highway Lot, on a first-come, first-served basis. Next Post UPDATED! Wheelin’ through the beers (and bao buns and beach babes): so many bike rides, so little time….